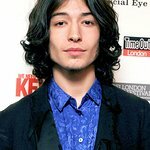 “The Perks of Being a Wallflower” star Ezra Miller will travel to the North Pole in early April to plant a ‘flag for the future’ on the seabed, as part of a major international campaign to protect the Arctic. The 20 year old actor will ski for up to 8 hours per day and camp out in temperatures that could drop to -31°F. He will be joined by three young people and supported by 2.7 million others who have joined a Greenpeace campaign to create a sanctuary in the uninhabited area around the North Pole, which is melting rapidly. Once they arrive at the top of the world, the team will attempt to lower a special flag to the seabed, several miles below the surface. The flag’s design was chosen by Vivienne Westwood as part of an international competition, and is intended to symbolize global unity and peace. Announcing his participation in the trip, Ezra Miller said, "I’ve never camped in the snow before and I’m definitely not an Arctic explorer, but I’m determined to plant this flag at the North Pole to declare it protected. I’m traveling with three young people who want to create a sanctuary up there and take on climate change across the world. 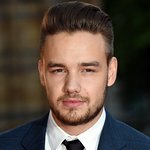 Attached to the flag will be a special pod which contains over 2.7 million names of people who support the campaign including One Direction, Jack White and Cameron Diaz. This pod will be made of glass and titanium and is intended to rest on the seabed for decades to come. Ezra recently completed a training course in Montreal, Canada, which required him to drag a sled containing over 170lbs of equipment, as well as learn to melt snow to cook freeze dried food. Once on the trip he will be expected to pitch camp, pack his own sled and pee in a bottle during the night. In April the North Pole is bathed in nearly 24 hours of sunlight. The team will use GPS locators to find the actual pole itself, a task made harder by constantly shifting ice floes which can pull expeditions south as they walk north. Ezra will be joined by three other youth ambassadors with different connections to the Arctic. Renny Bijoux from the Seychelles, whose island nation could disappear due to rising sea levels. Josefina Skerk is from the Indigenous Sami community in Sweden and a member of the Sami parliament. Kiera Kolson is a young Tso’Tine-Gwich’in woman from Denendeh, Canada. She works to protect the Arctic with Greenpeace and defends the rights of Indigenous Peoples who have lived there for thousands of years.